ANZAC Day is celebrated on 25th April each year and marks the date when the allied landings took place in 1915 on the Gallipoli Peninsula. 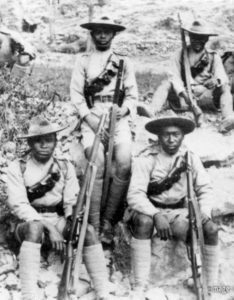 Four Gurkha battalions fought at Gallipoli including two from antecedent Regiments of the current Royal Gurkha Rifles. 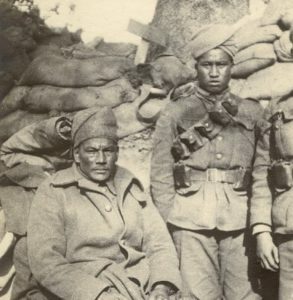 ANZAC day, commemorating members of the Australian and New Zealand Army Corps who died in all wars, conflicts and peacekeeping operations and the contribution and suffering of all those who have served. 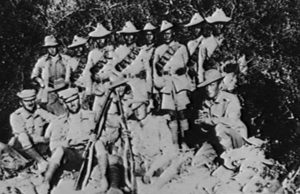 Gurkhas have special affinity with the day, especially since the Gallipoli Campaign in 1915 where the they fought valiantly.